The vast majority of research in social psychology focuses on momentary events: an attitude is changed, dissonance is reduced, a cognition is primed, and so on. Little attention is a paid to the unfolding of events over time, to social life as an ongoing process in which events are related in various ways as life unfolds. 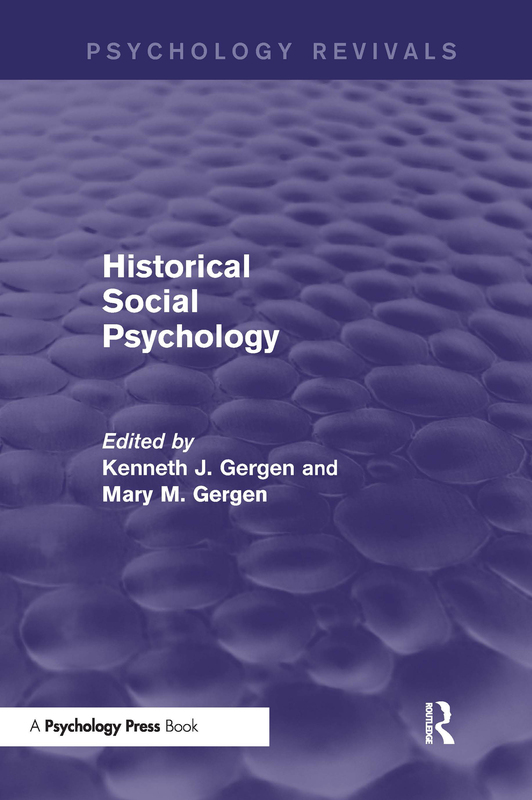 Originally published in 1984 Historical Social Psychology opens a space for theory and research in which temporal process is central. Contributors to this broad-ranging work provide a rich range of perspectives, from the theoretical to the methodological, from micro-sequences to the life-span, and from contemporary history to the long durée. Together, these authors set the stage for a major shift in the focus of social psychological inquiry.